AGE News reports that Dolores O’Riordan will sing “Adeste Fideles” and “Linger” again this year for the Vatican Christmas Concert. These are the same two songs that Dolores sang at her last performance at the Vatican in 2002. However, AGE reports that we can expect the new performance to be somewhat different. For starters, “Adeste Fideles” will be a duet with Italian tenor Gian Luca Terranova. In addition to being a singer, Terranova is known in Italy as a songwriter and playwright. Terranova has written the lyrics to music in several Italian musicals. More intriguing, perhaps, is that AGE reports that Dolores will deliver a stripped-down version of “Linger” with “new, particularly bare and essential vocals.” We’re not sure exactly what this means yet, but we only have to wait until the Vatican performance on Saturday to find out. Italian TV channel Canal 5 and radio station RTL 102.5 will record the entire concert and broadcast it on Christmas Eve in Italy at 21:00. 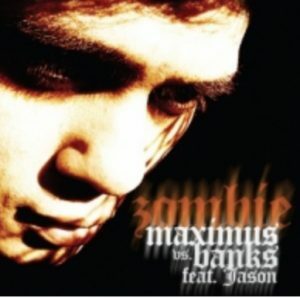 “Zombie” is a chart hit in The Netherlands this week for the second time — but it’s not the original version. Thanks to Taco for the news. Former Therapy? member Graham Hopkins isn’t the only drummer contributing to Dolores O’Riordan’s solo album — in a new interview, former Triumph drummer Gil Moore says he has also recorded some new songs with Dolores. Moore owns Metalworks Studios outside of Toronto, where The Cranberries recorded much of Bury the Hatchet and where Dolores has recorded several tracks for her forthcoming solo album. He and Dolores have been friends for several years, as Moore’s wife gave birth just before Dolores gave birth to Taylor in 1997. “It is true that I have a clothes shop in Limerick, I am half owner,” Noel told Zombieguide. “We opened about six or seven months ago. It is casual street wear, jeans, t-shirts, that kind of thing. It’s been doing really well.” Noel opened the venture together with longtime Cranberries business manager Alan McEvoy. Noel patented the name in January of this year. The Cranberries are among 12 of the most influential artists in Irish music to be selected for the newly-erected Wall of Fame in Dublin. 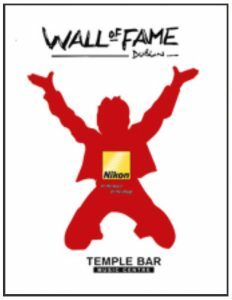 The wall, which encompasses the Temple Lane wall of the historic Temple Bar Music Centre in Dublin, includes 11 smaller windows (6 x 6 ft) and one large window (20 x 20 ft) to house photographs of Ireland’s most influential musicians. The wall was unveiled on October 20th with a launch party that included notables Dave Fanning, Paul Brady and Philomena Lynott. 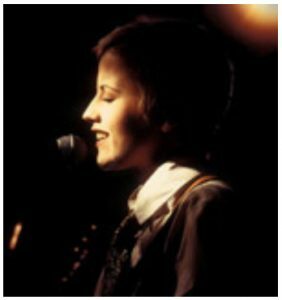 The exhibiton includes a 6 x 6 ft decal of Dolores O’Riordan, photographed at Ronnie Scott’s Jazz Club in London in 1994. Photographer Jill Furmanovsky of Dublin’s Rockarchive Gallery said, “The band had already conquered America but were relatively unknown in the UK. This daytime showcase was for the press and promoters. Dolores looked like a schoolgirl bunking off during her dinner hour.” The translucent decals are backlit at night, which makes the free public exhibit an attraction even during the evening. The other 11 artists on the wall currently are Paul Brady, The Boomtown Rats, Christy Moore, Philip Lynott, Rory Gallagher, Shane MacGowan, U2, Sinead O’Connor, The Undertones, Van Morrison, and Luke Kelly. 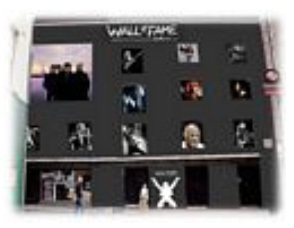 You can find more info at the Wall of Fame’s Official Website. Hot Press today posted the first bits of a new interview with Dolores O’Riordan, who reveals that she is finishing up her solo album, due in mid- 2006. Dolores expects the as-yet-untitled album to release in late spring/early summer 2006 and will be followed up by a world tour. Her musicians include Cranberries live backup guitarist Steve Demarchi, Graham Hopkins on drums, and bassist Marco Mendoza, whose resume includes Ozzy Osbourne, Whitesnake, and Ted Nugent. “Graham I love for his energy and Marco, who’s been friends with my husband for 15 or 20 years, creates the most amazing things. He’s a Mexican dude, so he’s got that Latin rhythm thing going on as well as the rock. The main guitarist is Steve Demarchi, who used to do live session work with the Cranberries,” she adds. Hot Press also confirms that Dolores will be making her way to the Vatican on December 3, to perform for Pope Benedict XVI. “It’s my third concert and second Pope! There are about a thousand people on stage, including the Vatican Orchestra, so the vibe’s amazing,” she enthuses. Hot Press also teases that that they have details of her (new?) collaboration with Angelo Badalamenti, but for that, you’ll have to pick up the next print issue of Hot Press. Badalamenti said last year that he wanted to work with her to create “another kind of Dolores O’Riordan.” We’ll have the details on that as soon as we get it. In the meantime, if somebody can send the full article from Hot Press’s site, please send it in! Dolores O’Riordan’s publicist Lindsey Holmes today told Zombieguide that yesterday’s rumor of a Cranberries regroup in the near future is false. The rumor made the top headline on gossip website Showbiz Irelandyesterday. No word yet on what Dolores’s reference to “four months” may have been, if anything. If there are any more developments on the rumor, Zombieguide will have them here. Rumor: Cranberries to reunite in 2006? Today’s front page story on gossip website Showbiz Ireland suggests that the Cranberries could be back as soon as within the next few months. The tabloid managed to squeeze a few words out of Dolores at Shanahan’s Restaurant in Dublin, where they report that she and her husband were eating with the rest of The Cranberries last Friday, November 4. While details are scant, Dolores told the tabloid that we might hear something from The Cranberries within the next four months. The website has also posted three brand new photos of Dolores and Don. Dolores’s very long black hair in these shots suggest that the tautbrunette shots posted last month on the Irish Independent may be slightly dated. We are awaiting comment from Noel Hogan on this news and we will post his response on Zombieguide as soon as we get it. Newspapers in Italy are reporting today that Dolores O’Riordan will make her third appearance at the Vatican Christmas Concert this year. Major Italian newspapers Il Giornale and La Repubblica report that Dolores will be alongside performers Riccardo Cocciante, Gigi D’Alessio, Claudio Baglioni, Dolcenera, Alex Britti, Black Eyes Peas, Negramaro, Mango, Nicky Nicolai and Stefano Di Battista Quartet this year. This year’s concert will take place on December 3, 2005 and will be broadcast on Italian TV network Canale 5 and on radio network RTL 102.5 at 9:00 PM on December 24. Dolores last performed at the concerts for Pope John Paul II in 2001 and 2002 and was said to be one of his favorite singers. This will be Dolores’s first public performance in more than a year. This year’s concert is dubbed”Concert for East Asian Missions,” as funds from the concert will be used to build churches and fund missionaries in East Asia. More details as the concert date approaches! Thanks to rebel for the tip.